Book review There’s definitely a buzz around B movies these days, with the genre seemingly, er, healthier than ever. Take Sharknado, which aired on SyFy and became a Twitter sensation. I think the only thing I managed to tweet last year was “My feed is full of Sharknado". This low budget movie has now clocked up millions of viewings and to many it’ll be a first taste of the B Movie tradition of seat-of-the-pants production values and fantastical story lines. After all, who would have thought that using a chainsaw on a flying shark was an ideal way to defend yourself? 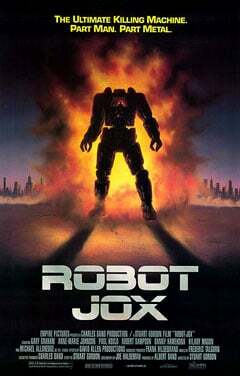 Although B movies exist in all areas of filmmaking, these days they tend to be associated with quirky sci-fi/fantasy/horror titles. My love of the genre dates back to childhood and I remember while buying Uncanny Xmen at the newsagent, that I wished looked old enough to get a copy of Fangoria – the horror/fantasy film review magazine featuring titles from independent studios such as the enduring Troma Entertainment among others. Needless to say, I didn’t have to be asked twice if I wanted to review Empire of the ‘B’s, a book by Dave Jay that details the rise and fall of Charles Band’s distinctive Empire Studios. Usually when you mention B movies people think of Roger Corman. I will always have a soft spot for Rock and Roll High School, which stars The Ramones. 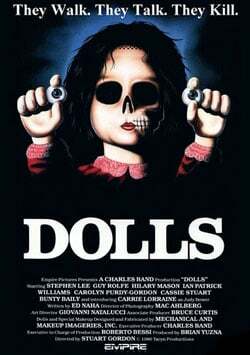 But hey, Roger Corman sold out, literally. 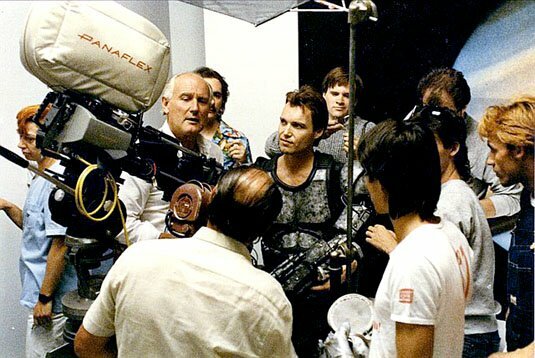 He flogged New World Pictures, his cult film production company, to an investment firm in 1983. So it’s down to the likes of Jay to set the record straight, in his beguiling labour of love that stretches to 377 glorious pages of awesome. In the process, he firmly plants the idea that Charles Band, producer/writer/director and distributor extraordinaire, should usurp Corman’s cult cinema crown. OK, so no one’s heard of Band but everyone knows his movies – maybe not all 260 of them, though – but it was the likes of Re-Animator, Troll and Ghoulies that always felt like authentic Bs. It’s not entirely a one man effort, though, as the book was put together with help from like-minded collaborators: fantasy writer Torsten Dewi and Nathan Shumate, who publishes the fanzine Arcane and runs the Cold Fusion reviews web site, also chipped in. 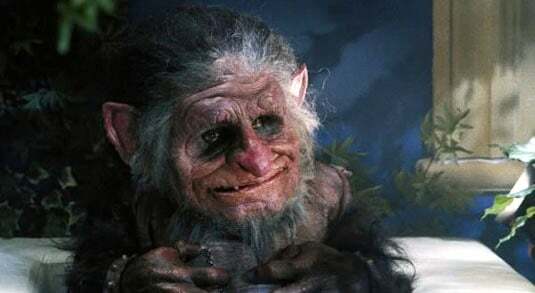 Remember the days when trolls were trolls? Yet it's obvious that over the 10 years Dave Jay took to put together Empire of the ‘B’s that he has spent a lot of time in contact with Charles Band and his extended film family. The result is akin to an encyclopaedia of low budget lovelies, yet concentrating on Charles Band's most prolific years to deliver an absorbing, blow-by-blow account of Empire Pictures. The book opens with an introduction from horror film director Stuart Gordon, so the reader gets introduced to Charles Band from afar. It’s a fascinating description of their first meeting and how Gordon was drawn to the young impresario’s character and unstoppable entrepreneurialism. You also gain insight into how Empire Pictures was actually a family affair. The Charles Band interview that follows is engrossing in its honest appraisal of the independent movie production process, revealing how to make friends and adversaries on a spectacularly small budget. Moving on from this scene-setting character profiling, the first section of the book deals with the films produced between 1975 and 1983. Each film is looked at in astonishing detail over a couple of pages with a snazzy heading, production credits and a very short synopsis. Then we get an in-depth account of each film's production process, complemented by rare stills, amusing trivia and quotes from reviewers – some flattering, others most definitely not. These film entries are broken up by interviews with a diverse range of people involved in the production process from actors to animators, all willing to give their take on what seemed to be the organised anarchy that was Empire Pictures. Around the same time Empire of the ‘B’s turned up for review, I had seen the Wolf of Wall Street and I can almost imagine the movie-making process back in the 1980s as being one long Quaalude trip enabled by a blonde bombshell development executive, aptly named Debbie Dion. Production mayhem aside, the enduring message is that Charles Band was always regarded as having passion and vision. The second part of the book is enormous. To do it justice, I suggest you read it at leisure with at least one and a half bottles of wine. It’s in this section where I could reminisce on all my old favourites including Ghoulies (1984) (“They'll get you in the end"), Trancers (1984) (“Starring Oscar winner Helen Hunt”), Re Animator (1985) ("It will scare you to pieces”) and Harry Potter - *cough cough* I mean Troll (1985). 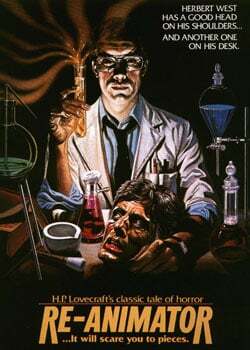 It seems fitting that a man who would make a film based on a work by HP Lovecraft (“Yum yum” Cthulhu) would be associated with directors John Carpenter and Clive Baker and have his work reviewed by author Neil Gaiman – all masters of fantasy and horror. The third section of the book deals with Wizard Video, a distribution company that ran from 1981 to 1987. It was given the title “Too gory for the silver screen” by John Klyza who offers an insight into straight-to-VHS movies releases that even Charles Band deemed too unpalatable. 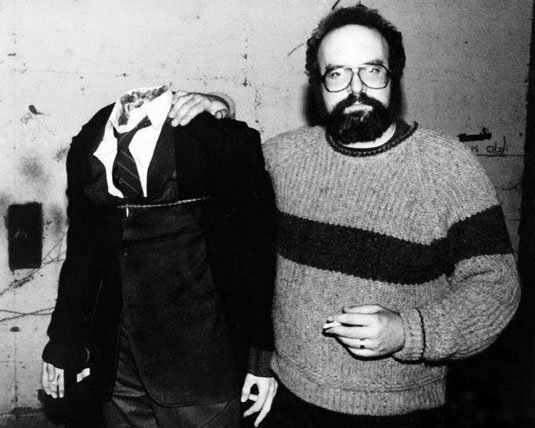 While these efforts might at first appear preposterous, they also provided opportunity – giving directors such as George A Romero a platform is not to be looked down upon. At 62, Charles Band is still irrepressible and his enthusiasm lives on in the form of Full Moon Features, which is worth a look if you fancy streaming such titles as Gingerdead Man Vs. Evil Bong (2013) or buying a resin model of a Ghoulie emerging from a dirty toilet. I notice I now have a queue of friends wanting to get their hands on my copy of Empire of the ‘B’s but they'll just have to wait while I re-read the entries covering Re-Animator and Troll. In time, it might eventually occur to them to buy their own copy. 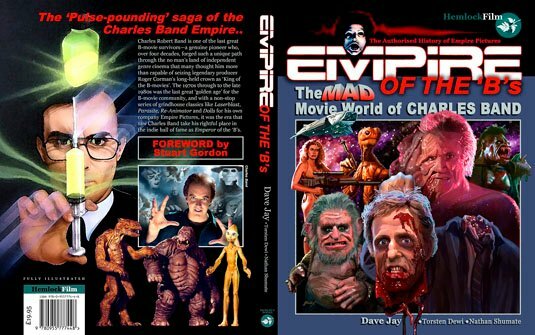 Empire of the ‘B’s: The Mad Movie World of Charles Band hardback edition is available from Hemlock Books priced at £19.95 and is also available from Amazon.